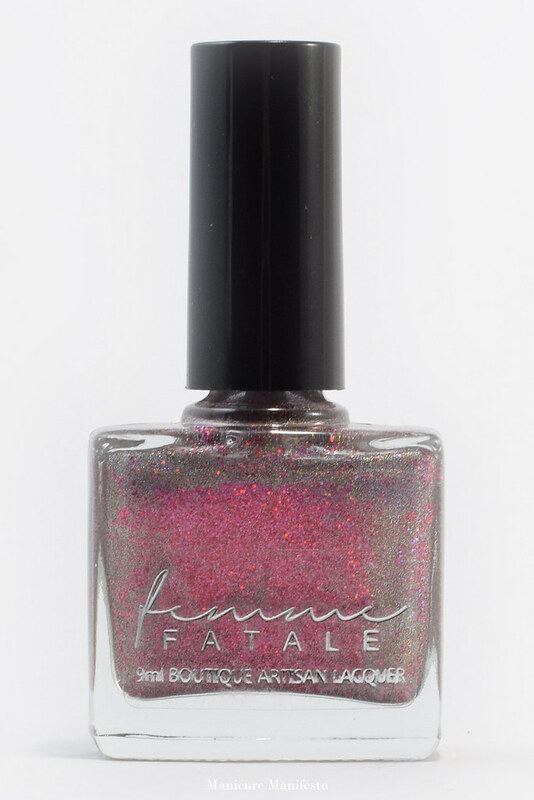 Today I have of the new Femme Fatale polishes exclusive to Hypnotic Polish. This is definitely not the blue, purple or teal I usually go for, but the combo of taupe and red intrigued me. 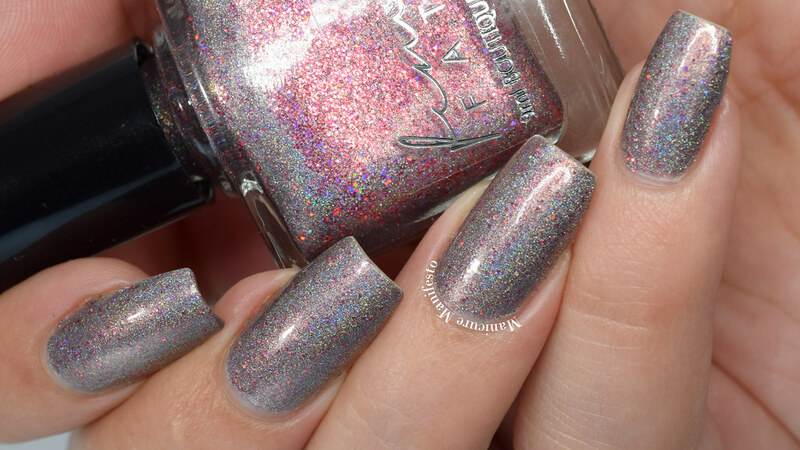 Rubine Veil feature a medium taupe holo base with lots of tiny red holo glitters. The formula was very easy to work with and went opaque it two coats. The red glitters do cause some tiny bumps, so if you want a perfect glossy finish, make sure to use a thicker top coat. 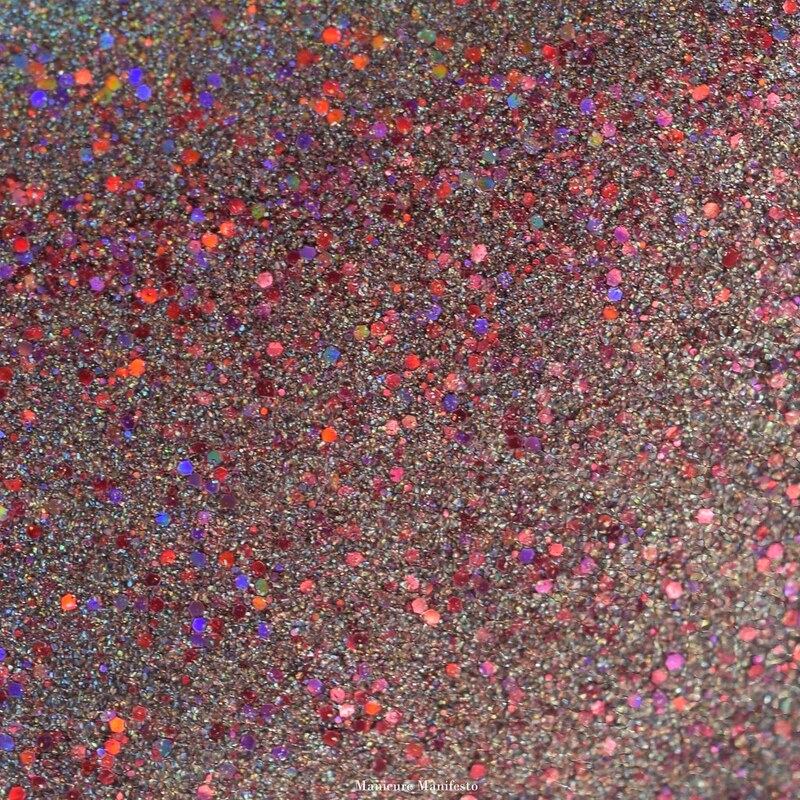 Photos show two coats of Rubine Veil with one coat of Girly Bits Cosmetics Glitter Glaze in daylight spectrum lighting.